These long pauses in my blogging are happening pretty frequently. But what can I say, there is a lot of life happening these days! I wanted to just post a quick update on what is happening in my little piece of earth…. Mom, friend Lori, me, Pop’s wife Michelle, and Pops. You read about my adventures with my sister, well less than a week later my dad and his wife, and my mom and her friend Lori came into town. As you can imagine, this means the last 3 weeks have been filled with family activities and travel. For my final act as an Ed.M. 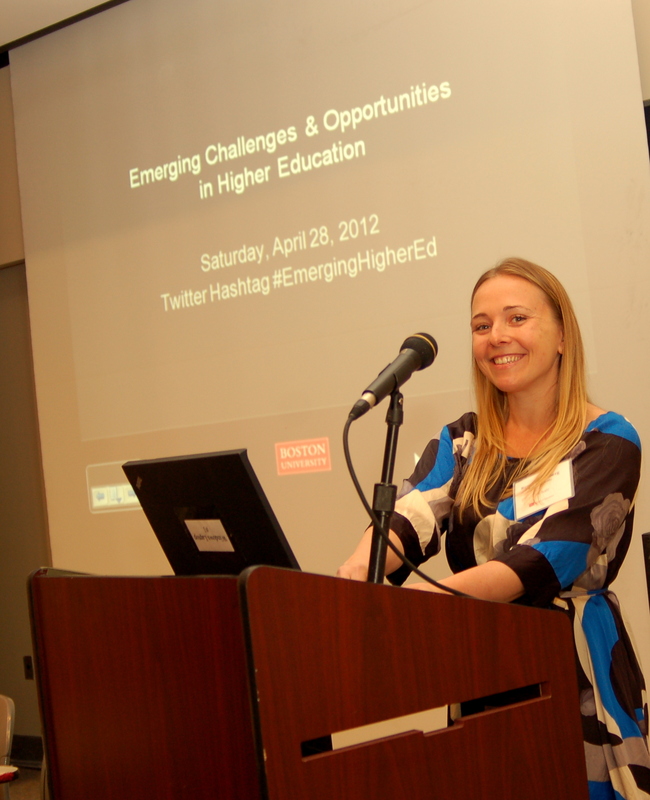 candidate, my classmate Lori and I planned and executed a symposium for Boston University’s School of Education titled “Emerging Challenges and Opportunities in Higher Education“. We were lucky enough to secure amazing speakers including Dean Kenn Elmore, Margaret McKenna, Phillip Altbach, Eric Stoller and Sol Gittleman. It was truly an amazing day and turned out better than anyone could have thought. Oh yeah, I am now a MASTER!!!! 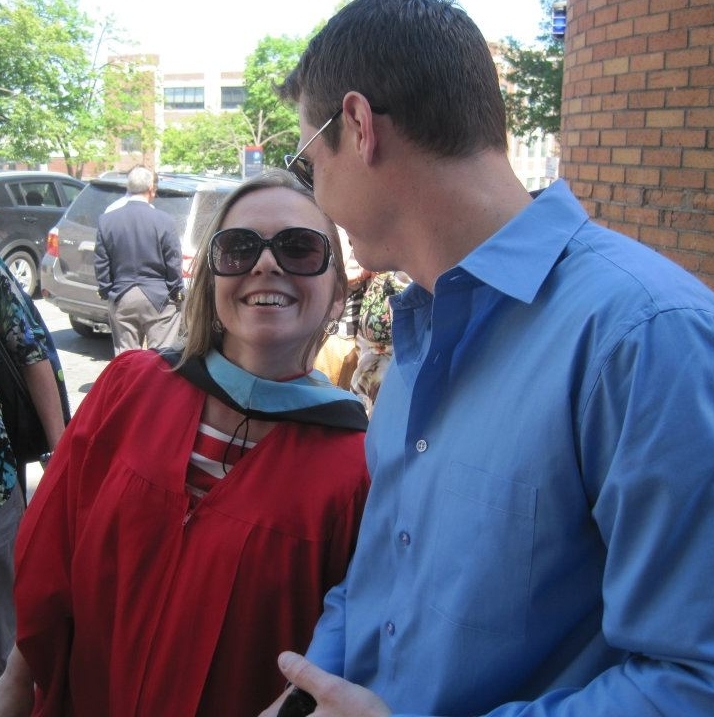 Last Saturday I graduated from Boston University with my Ed.M. in Policy, Planning and Administration! So, now it is time to settle down and enjoy my regularly scheduled life. Ryan and I haven’t even been able to really enjoy our engagement together yet since we left the Cape. So, it may be a couple of weeks before I post again while I enjoy my FIANCE (!!! ), and decide what I want to be when I grow up. But don’t worry, I have been visiting a ton of restaurants, I have been doing on the scene research for more Summer Travel in New England posts, and I have been cooking and snapping pictures to share amazing recipes with you. Never fear my friends, I will be back on a regular blogging schedule soon! 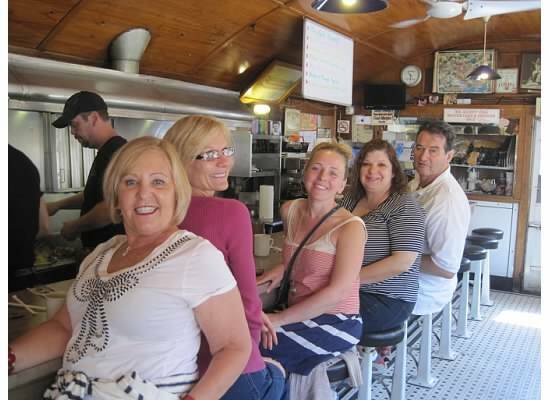 This entry was posted in Random, Travel in New England and tagged blogging, boston university, higher education, school of education by reneeh. Bookmark the permalink. Congratulations on all of the great things going on in your life! Awesome past few months you’ve had. Congrats on graduating!